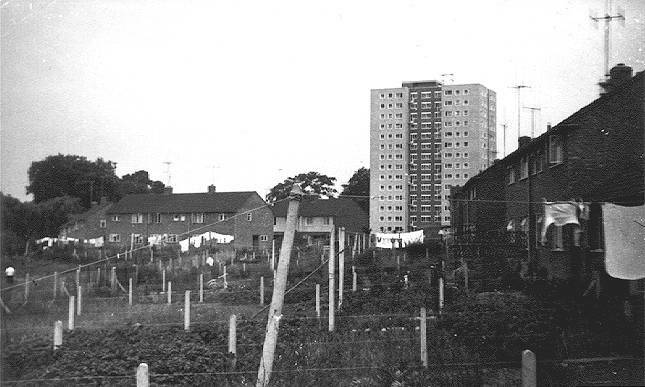 This section of the site documents some of the changes since the creation of the Coley Park Estate in the mid 1950's. It covers the new housing, building of the three high-rise flats, two schools and other additions over the years. 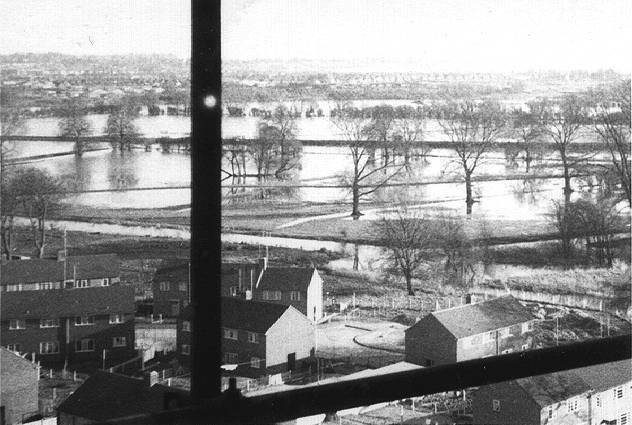 In the early days of Coley Park estate from around 1958, the new Reading Corporation constructed housing along Wensley and Lesford Roads, and a few years later began construction on the three high-rise flats and three maisonettes. 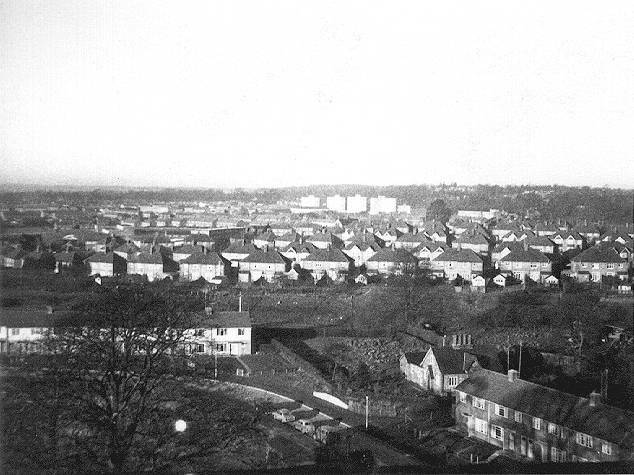 Shortly after more housing was built in Carsdale Close, and then Tintern Crescent which connected to the older St. Saviour's Road. The houses were of a similar two-storey semi-detached design but will some external feature differences. They were built to a then tried and tested design (many having been erected earlier in Tilehurst and other areas). The standard was a small, but reasonably proportioned three bedroom house. The bedrooms were all on the upper level along with a bathroom and separate toilet. The main bedroom had an airing cupboard which was fitted with a large electric hot water tank (also known as the 'immersion' heater). A handy built-in wardrobe was also provided utilising the space above the stairwell. On the ground floor was a lounge/sitting/dining room that extended from the front to the back, with windows at each end. A fireplace was positioned centrally along the main wall, sharing the upper chimney stack with the adjoining house. A generous kitchen for its time was provided which included a built-in larder (pantry). A small cupboard under the stairs was accessible from the kitchen and usually housed the electricity/gas meter. A side entrance porch gave access the three doors; the kitchen, the coal store and a utility room. The utility room was a useful storage space and ideally was used as a laundry. 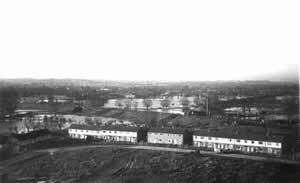 Over the years many of these houses were converted where the utility room and coal store was removed and the area opened up to provide an extended kitchen area with a dining room. In recent times approval has been given to utilise the attic (or roof space) to add another room, and a number of homes around the estate have now done this. The following are early images of Coley Park estate photographed during the construction of the 15 storey flats during 1959/1960. 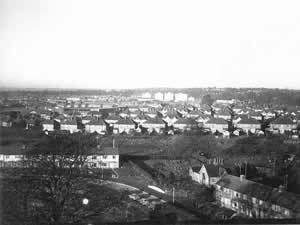 Most of the images were taken from the top of partly completed flats. 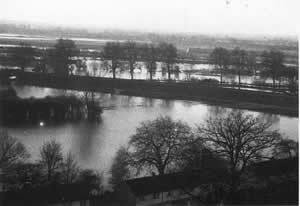 As you can see from the images it was winter and there is the obligatory flooding of the surrounding water meadows. Most of the houses have very barren backyards with no gardens or sheds. Seems there was also plenty of washing to do as most houses have their lines full. Note: All the following photos are grouped into a gallery. Click on any photo to enlarge and then move forward or back through the images. Looking east over Wensley and Lesford Roads. The old Mansion and the Lesford Road allotments are clearly visible. A view from the back of the houses in Lesford Road looking towards the flats clearly show the bare backyards. Facing west over into the private homes of Southcote. A new 'Western' class diesel train heads towards Reading. 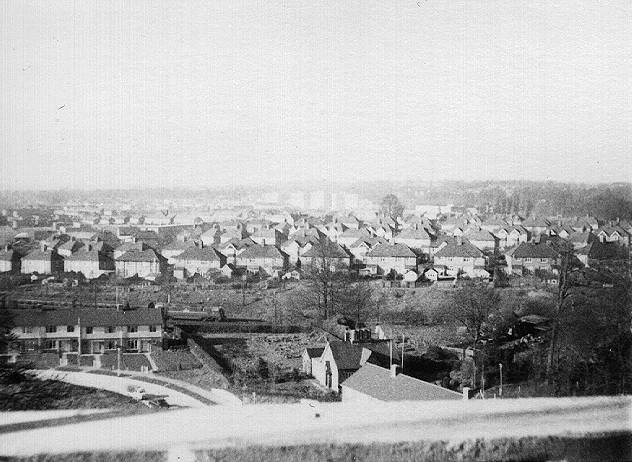 In the foreground, the old North Lodge can be clearly seen and in the distance are the eight-storey flats at Southcote. During winter it was common for the Kennet River and the Holy Brook to overflow. 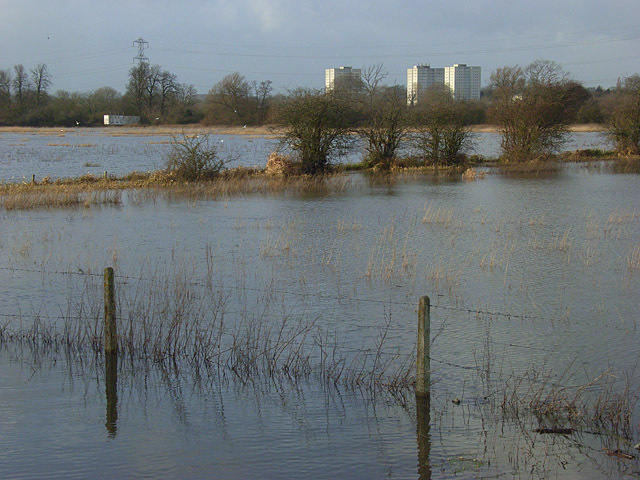 The surrounding Kennet Meadows are subject to seasonal flooding and are commonly known as 'water meadows'. 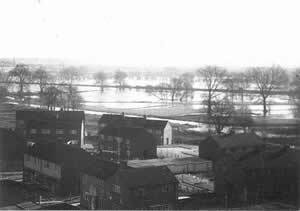 After heavy rains or due to melting snow the surrounding fields would be completely flooded. Sometimes the water froze as the temperature dropped and created huge lakes of ice which attracted kids (and adults) from around the area. The fields are completely flooded over at Southcote Junction, but the railway lines are high and dry. A view of the floods looking over Heron Way. The Holy Brook is clearly visible looking towards Heron Way. Looking over the back of Wensley Road. The Coley branch railway line embankment is clearly visible. The winter of 1962/63 was particularly bad, with heavy snow falls in January followed by freezing weather that lasted for many weeks. The snow froze so hard that I remember walking along the top of a six-foot deep snow drift without falling through. Ahh! those were the days !